As I have a lot of new followers of this blog, I thought I’d highlight a few from over the years (easier than writing a new one, by the way!). The grief of dementia is one of the most unspoken of topics, not our grief families feel as we change and lose function, then die, but the grief we feel as we lose capacity and as our abilities change to disabilities, and we are still living in a society where they are not supported like anyone else with disabilities. When I first found the word hiraeth, it seemed to resonate strongly with the losses of dementia. Losing one’s ability to remember, to speak, to find the words we want, to be able recall names and faces, and the deep sense of loneliness most of us experience, is difficult to live with dementia, and makes each days paddling that much harder. When I searched on my own blog for musings on loneliness, I found quite a few blogs on that topic, so it seems it is something that haunts me a lot. One of the most common, and possibly the worst part of dementia, is being told, “but you don’t look like you have dementia”, and it is offensive, hurtful, and actually many say it makes them feel like frauds even when they know they are not. This has become an ethical issue and perhaps is even a legal issues we should be exploring, as it offends not only us, but puts our medical specialists into question as well. There are quite literally millions of people living with dementia, and until the very late stages of the disease, none of them look like they have it! 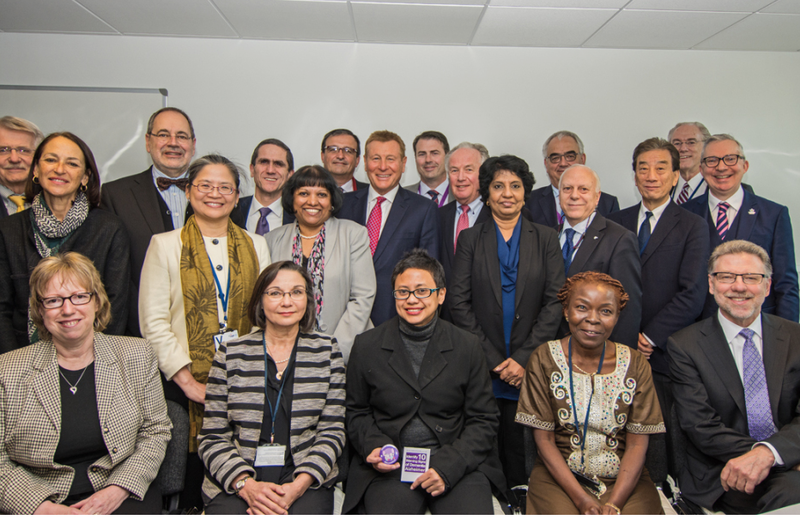 The image I have added today is of the World Dementia Council, taken last year, and I am not the only person on the council with dementia. Unless you know them personally, I will almost guarantee you cannot pick who else on this council has dementia!! In Perth at the ADI2015 conference, there were more than 110 people with dementia in attendance, and similarly, it was impossible to pick them from the delegates list of more than 1100 people! The stigma of dementia (little has changed since that report), the discrimination and ignorance of some towards us, as well as the disrespectful language still so systematically used to refer to us, makes it so much harder to live with a chronic, progressive and yes, a terminal illness. Oh, and the bullying can be intense, and still causes me to be ‘gob smacked’ that people without dementia, could be so mean to anyone, let alone to people diagnosed with dementia. Most of all, I urge everyone diagnosed with dementia to ignore the well-meaning Prescribed Disengagement® we are still being given, which is not only poor advice based on late stage dementia not early stage, but also lacking in a human rights approach and I believe to be unethical post diagnostic management, and to Live Beyond Dementia. My BUB, and my two sons and a few very special friends make my world so much easier to live with. Thanks to them, and thanks to you all here for you reading my blogs, and for your online encouragement and support. Kate, I love your words, your raw honesty and everything about you. You have taught me so many things thru your writings that I utilize in my every day Alzheimer’s life! Thanks for being you!!! Ditto Brian… and together, we can achieve so much more! Thanks Kate for this post. I’ll be reblogging it soon but I’m conscious of overloading my followers. Maureen was a revelation in Nottingham yesterday.